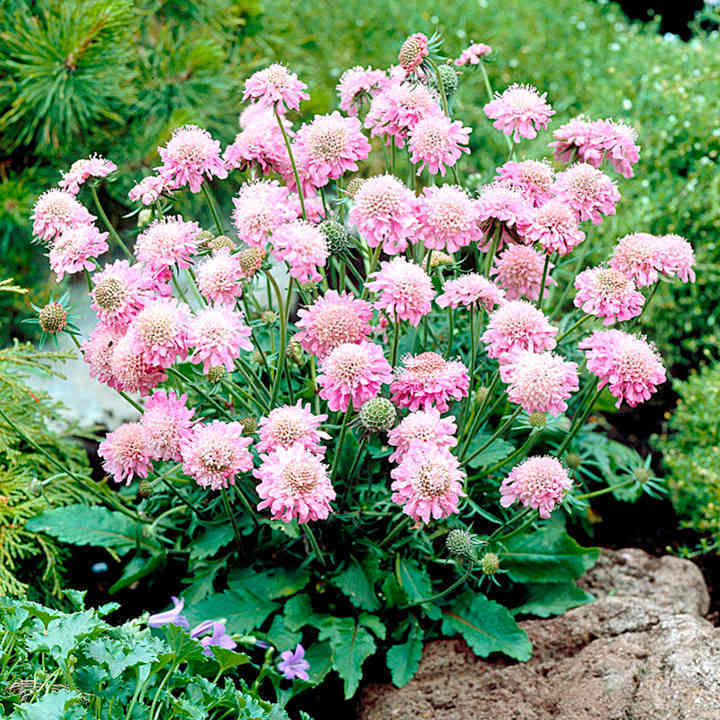 Lovely pink flowers shaped almost like pin cushions with a frilly edge of the same colour are produced in profusion above a small and compact rosette of dark green cut leaves on thin green stems. With a little care to remove the older flowers, it will continue to bloom from early summer, all the way through to early autumn. Great for the front of border, rock gardens or mixed containers. Flowers April-late August. Height 20-30cm (8-12"); spread 40-50cm (16-20"). Front of border variety. Supplied in 9cm pots. 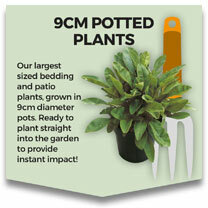 Ideal for beds and borders, patio pots and containers, raised beds. Attractive to butterflies and bees. Prefers full sun.